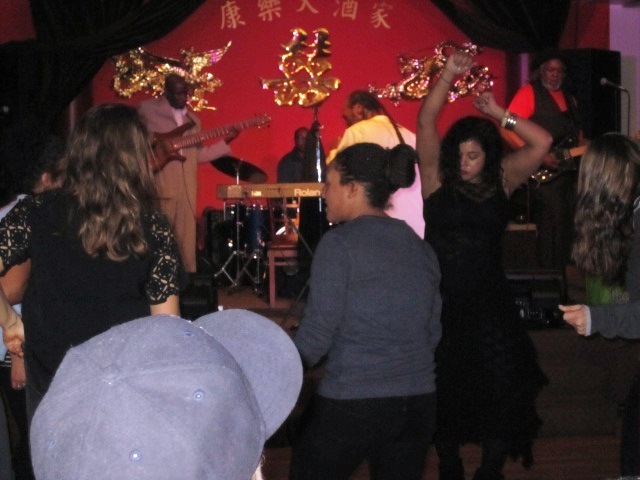 Dancin’ to THE GOOD STUFF! Ann Tu is THE Manager of The House of Hong www.houseofhong.com. 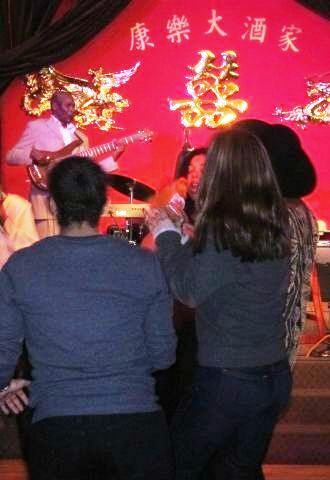 She saw the FUN we had during our last two Rockin’ THE BLEND nights, Blame it on THE BLEND, baby! 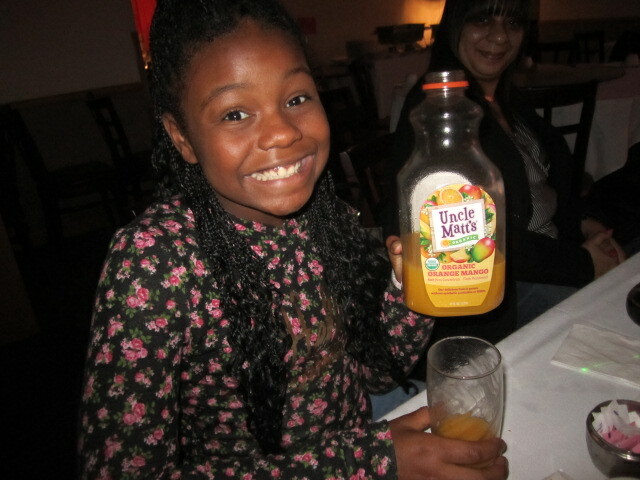 and Rockin’ THE BLEND!, so she wanted to be the Good Food Girl this time. 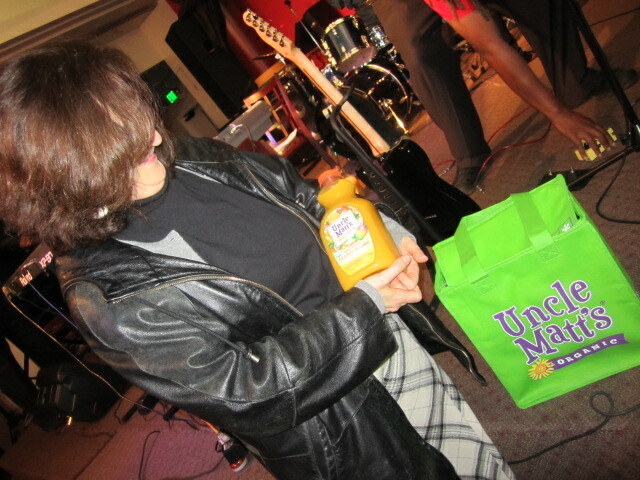 In addition to the FUN, the EXCITEMENT, the ENERGY and the “Thank yous” for helping to pour sweet UNCLE MATT’S® Organic Orange Mango Juice, it includes a BIG Band HUG! 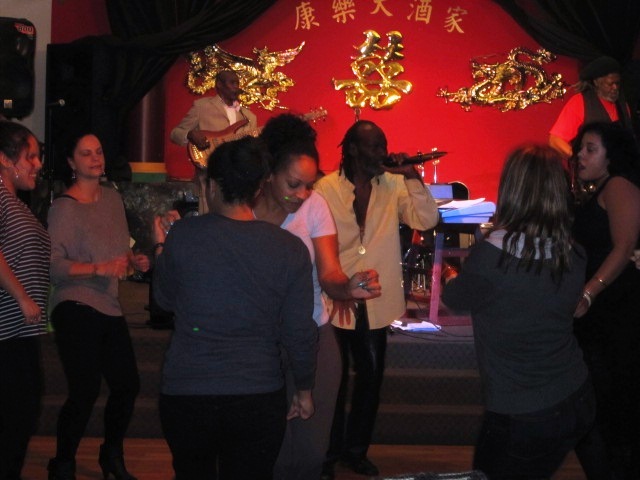 We just hope The House of Hong can get a Re-building Permit ‘cause we burned it down Doin’ the Mango Tango on Saturday Night! Turn the lights down. Let’s get this PARTY started! Presented by: Change Your Food – Change Your Life! FRANK BROWN: Let me bring up my friend, Dennis Weaver, Founder, Change Your Food – Change Your Life! DENNIS L. WEAVER: How abut this SEPTIMUS, huh! (Lots and lots of clapping and yelling and whistling!) And how about THIS!! I’m using Coleman Brown’s personal mic. HOT, huh. I’m honored! A Good Food Rriend of ours in Clermont, FL, UNCLE MATT, grows and makes the sweetest, smooooothest Orange Juice you’ve EVER TASTED! 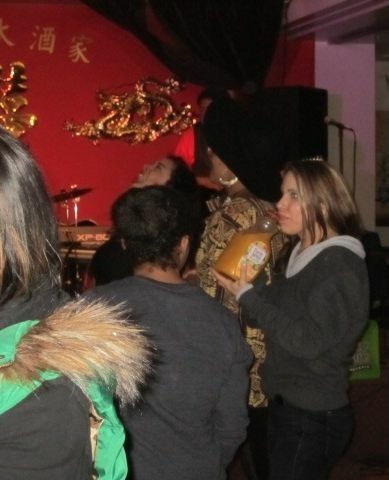 He just introduced a new BLEND of Orange Mango Juice. 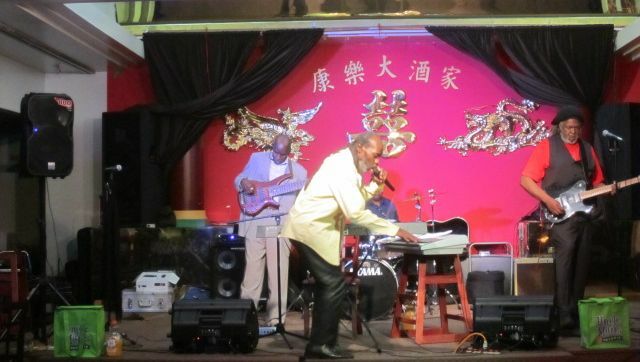 So, my long-time friend, MR. Frank will knock ya down Brown and The Legendary Funk/Soul/Blues/R&B/Rock Band, SEPTIMUS, wrote a brand new HIT song to CELEBRATE it, called The Mango Tango! Blame it on THE BLEND, baby! 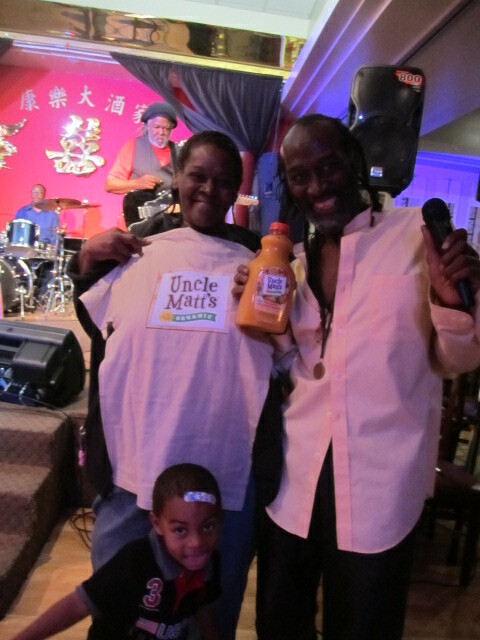 Hope you all ENJOYED that smooth UNCLE MATT’S® Organic Orange Mango Juice we poured for you. It’s THE BLEND, baby! 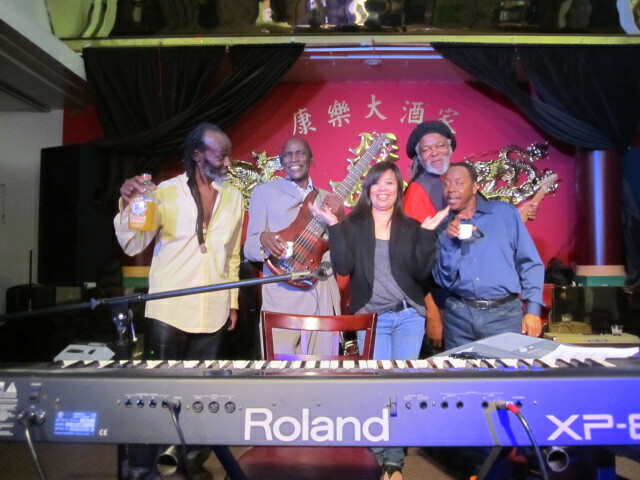 How about a round of applause for Ann Tu who helped us with its pouring. You know, SHE runs this place! (Lots of clapping!) Thanks, Ann! 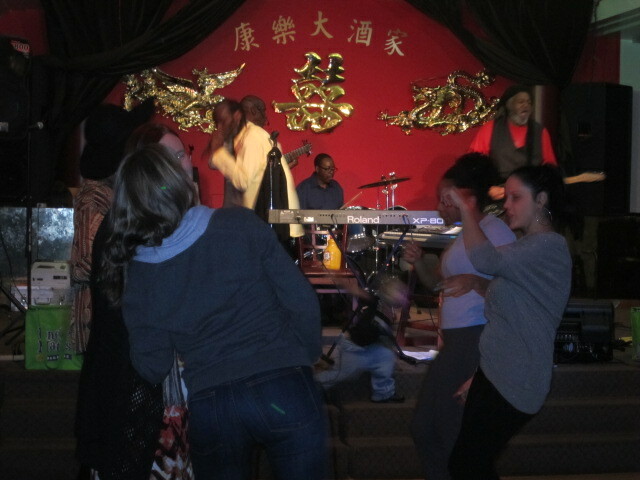 We’re also starting a National Dance Craze called Doin’ The Mango Tango! And tonight we’re having ANOTHER qualifying round. The first Winner was a trio, Virginia with her two young Sons. 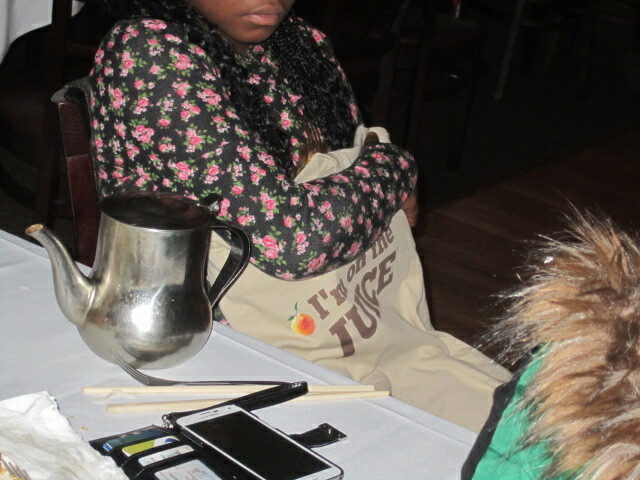 The second was Johnae B. I love her e-mail address. Very COOL: it’s a jb thang! And, soon, we’re going to have a WINNER tonight! We’re going to march this Doin’ The Mango Tango right across the USA and come up with a NATIONAL WINNER. And since we’re from Seattle, we’ll probably Showcase the WINNER dancin’ on the promenade at Alki Beach on a HOT Summer night to SEPTIMUS – LIVE!!!!!!! Now, THAT’S A PARTY! 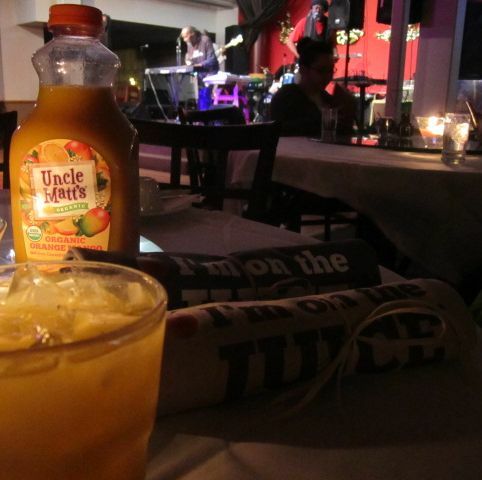 And if you’d like to follow SEPTIMUS and The Mango Tango, we have an e-mail signup sheet right over there at my table … the one with a bottle of UNCLE MATT’S® Orange Mango on it! Frank, tell ‘em what you KNOW will make ‘em dance! DLW: So, are you ready Dancers? Come on up. Now’s not the time to be shy. 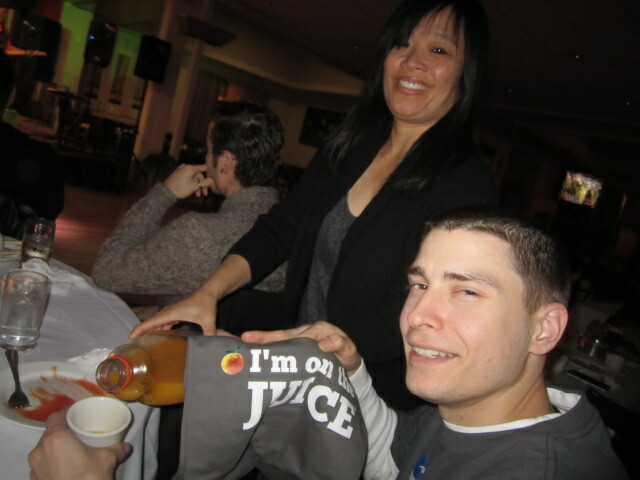 We got a couple of “I’m On THE JUICE!” Ts and a jug of UNCLE MATT’S® Juice just waitin’ for someone! Ann and I and SEPTIMUS and the Audience will be watching, and by Audience APPLAUSE, we’ll have a WINNER! So …. 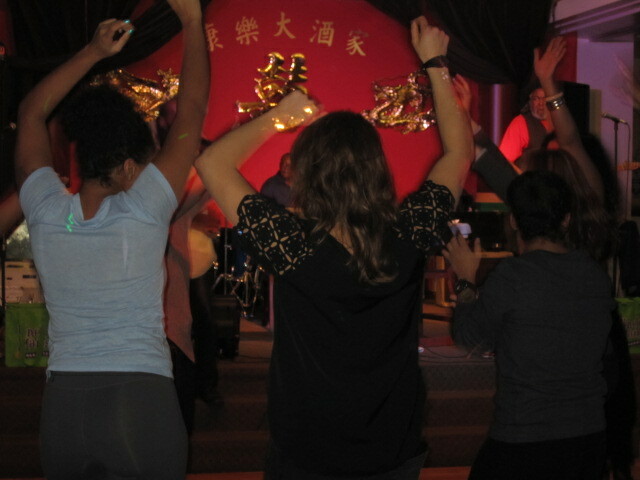 DANCERS …. are you READY!!! SEPTIMUS … we KNOW you’re READY!!! 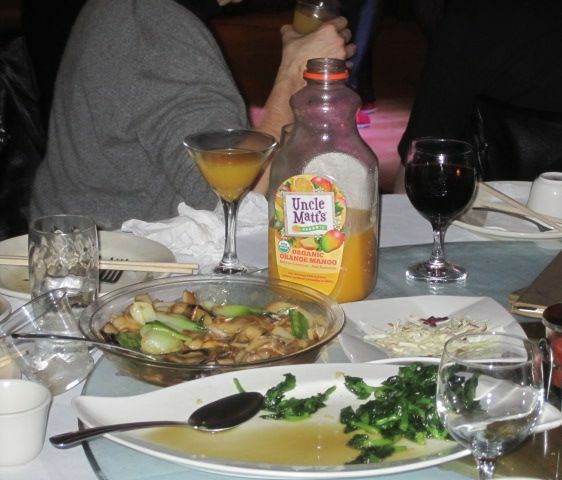 UNCLE MATT’S® Organic Orange Mango Juice is soooooooo GOOD that you’ve just got to drink it right out of the jug on the DANCE FLOOR! The Mango Tango Story continues! 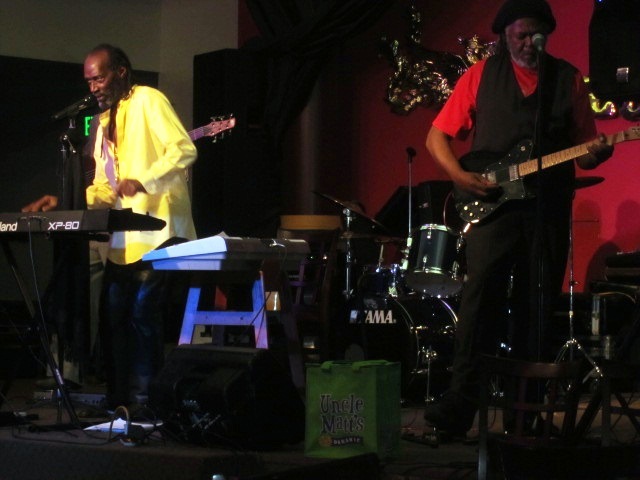 Our friends, MR. Frank will knock ya down Brown and The Legendary Funk/Soul/Blues/R&B/Rock Band, SEPTIMUS, had a little gig at The Lake Chad Café, a very cozy and intimate Café/Lounge. Their appearance wasn’t a part of any UNCLE MATT’S® Doin’ The Mango Tango promo as we’ve done before. There were no CYF-CYL! 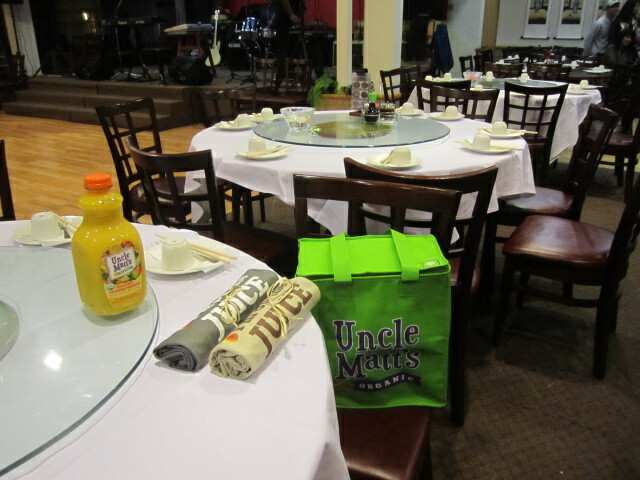 Good Food Girls, no GIFT bottles of UNCLE MATT’S® Organic Orange Mango Juice, no “I’M On THE JUICE!” Ts, no glowing mint green UNCLE MATT’S® insulated carriers on the Stage. 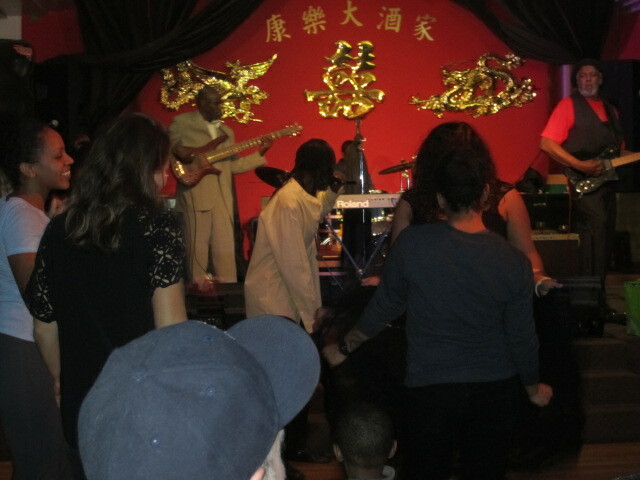 SEPTIMUS was there just as SEPTIMUS, that evening’s entertainment. 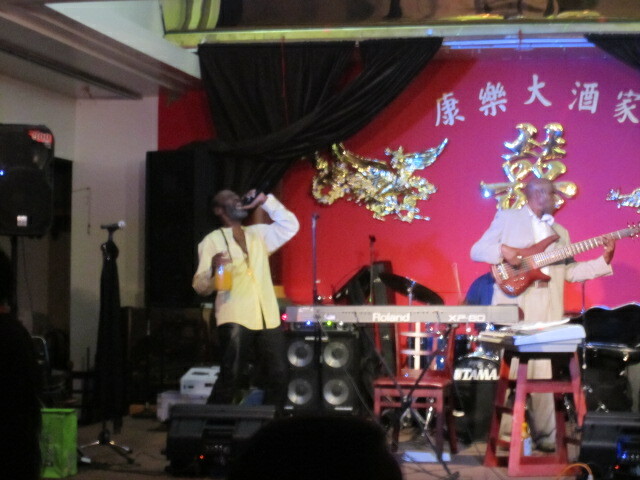 And I was there simply to personally ENJOY SEPTIMUS. 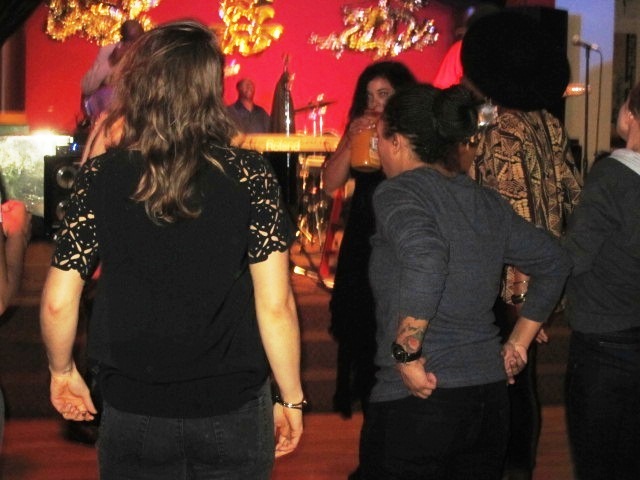 Well, about two songs into their first set, they announced, “How about a little Mango Tango!” And about four bars into their hittin’ The Mango Tango, EVERYBODY got up and danced! You can’t sit still to it! 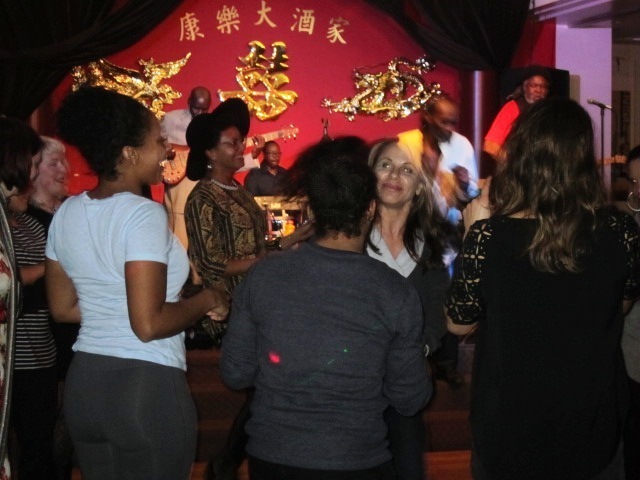 SEPTIMUS has played The Mango Tango at a couple of other venues, just as one more song in their play list, and THE SAME THING happened – EVERYBODY gets up and dances! 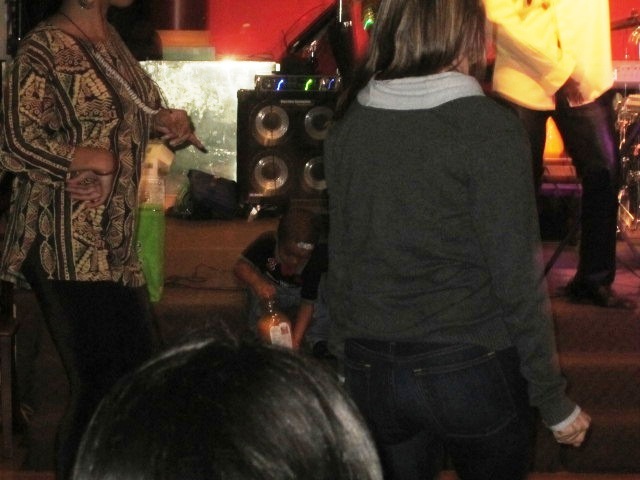 So, get your dance MOVES workin’ for our NEXT appearance! Here’s a jar of MOTT’S® Original Applesauce Since 1842 and here’s a jar of Santa Cruz® Apple Sauce. They both say ‘Applesauce/Apple Sauce’ right on the front of the label, A-p-p-l-e S-a-u-c-e! Spelled the same and everything. So hey, what could be the difference, huh. 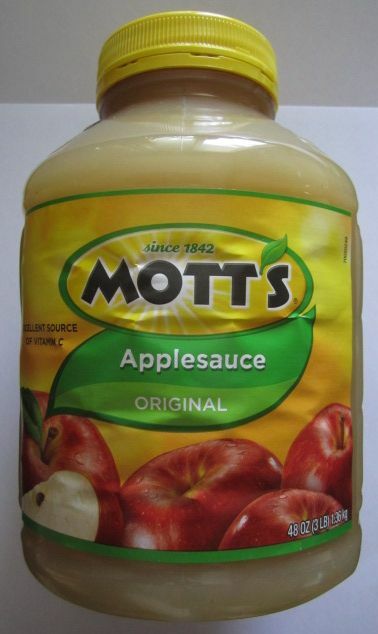 Well, the MOTT’S® Original Applesauce Since 1842 is non-organic, and its ingredients are non-organic apples, high fructose corn syrup and water. And there’s a couple of label lies right there! In 1842 there was no such a thing as non-organic agriculture … and there certainly was no high fructose corn syrup! 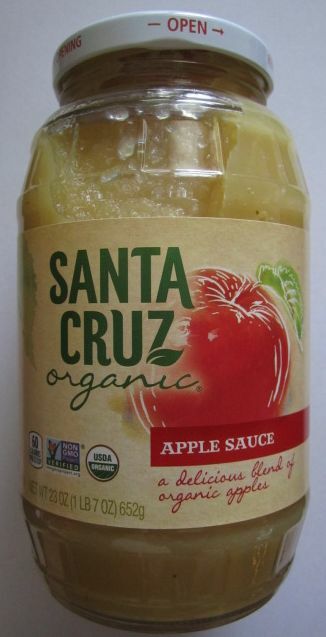 The Santa Cruz® is ORGANIC and its INGREDIENT is Organic Apples! But the real kicker is … two people sit down for a little ½ cup bowl of applesauce. One person has the Organic Good Food Apple Sauce, and the other has the non-organic poor food applesauce product. The person enjoying the Santa Cruz® ORGANIC Apple Sauce gets up having enjoyed 60 calories of Organic Apples … the person that ate the MOTT’S® non-organic applesauce gets up having taken in 110 calories of a mix of non-organic apples, high fructose corn syrup and water! Now here’s what that means … The Story of Mary and Jane. Mary and Jane are 18 and just graduate from high school. They live identical lives … similar jobs, similar neighborhoods, the same kind of boyfriends, the same choices of exercise, hobbies, sports and activities AND… exactly the same amount of applesauce every day. The only difference in their entire lives is that Mary makes the Organic Good Food Choice and Jane makes the non-organic poor food product choice. Well, Jane gains on Mary 50 calories a day, 350 calories a week … a mere tenth of a pound, 1.6oz. And 1.6oz spread all over you … well … you’d never even notice it! However, the gain is 5.2 POUNDS for the year. Mary and Jane live their identical lives over the years after graduation … except for that daily little ½ cup bowl of Organic and non-organic applesauce. The years fly by, and now Mary and Jane go to their 10th Year High School Reunion PARTY. And NOW you’re gonna SEE who ate what! 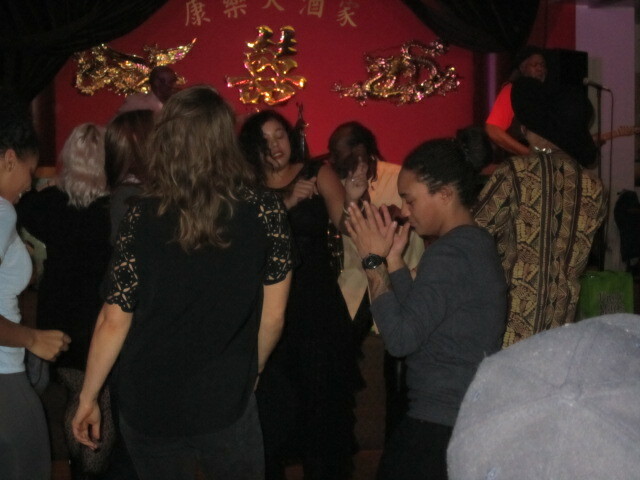 Everyone still wants to dance with Mary. But Jane … they’re pointing at … she’s gained nearly 50 pounds! So if just one non-organic poor food product choice makes this little Story work, just imagine where a lifetime of non-organic poor food product choices would take you!